Available in a range of finishes and colour options, including a unique selection of aluminium slat that actually looks like wood. Venetians are an ideal blind for both traditional and contemporary settings. With a choice of 15mm, 25mm, 35mm or 50mm slat widths. The aluminium slats are reliable, stable and durable. 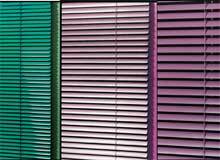 The slats are available in various finishes, dependent on slat widths. Standard operation is a cord to lift the blind and a rod to twist the slats. Controls can be located to either end or the same side of the headrail. 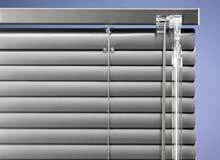 Like a standard aluminium venetian blind but without the slat holes. 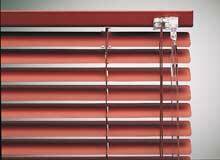 Privacy blinds are available with various modes of operation. Slidewand is a new child safe method of operating the blind that removes the need for a standard cord. Slats are available in 15, 25, 35 and 50mm widths. 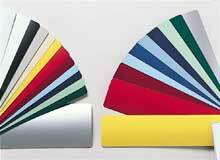 Slats are available in many colours and finishes. 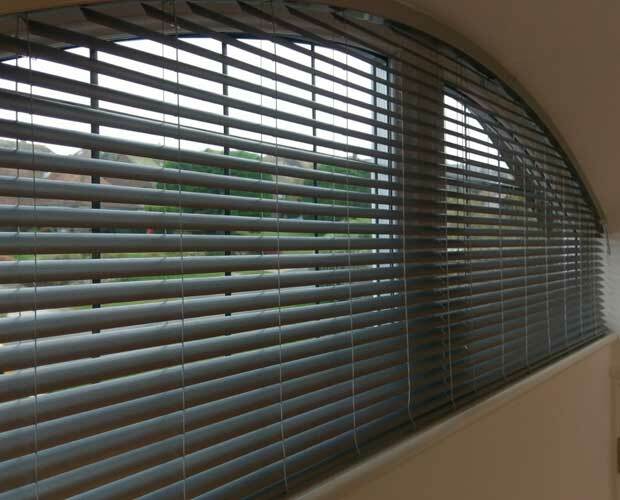 Aluminium venetian blinds can be made to various shapes to follow the outline of your window frame. The slats are hand shaped to allow either downwards or upwards tilting. Where straight section of blind exist it is possible to draw the blind up, but shaped sections can only tilt the slats.